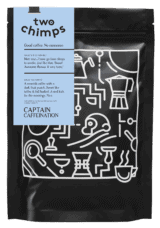 Crafted with mornings in mind, this Colombian coffee has a dark fruit kick, toffee sweetness and full body. Scroll for more or click to tailor your coffee now. Freshly Roasted with Fast & Free 1st class delivery. ”I now go from sleepy to awake, just like that. Boom! Awesome flavour & very tasty." Exactly how you want it, just make your selections below. Why bother with whole beans? Great if you prefer a heavier bodied coffee. Is this the coolest way to make coffee? A Moka Pot makes a deliciously syrupy coffee. Hmmm you say..... what is an Aeropress?!? As all of our coffees are seasonal, every so often we will have to change them when we run out. This is why our subscriptions are for a brewing method and not for a particular coffee. Don’t worry, we will always send you something yummy to enjoy that is similar, but if you don’t like it, you only have to let us know, and we can swap it for something else. On the bright side, think of all the different coffees you will be able to try! If ordering ground coffee, it will be ground for your chosen brew method and may not work as well with other devices. 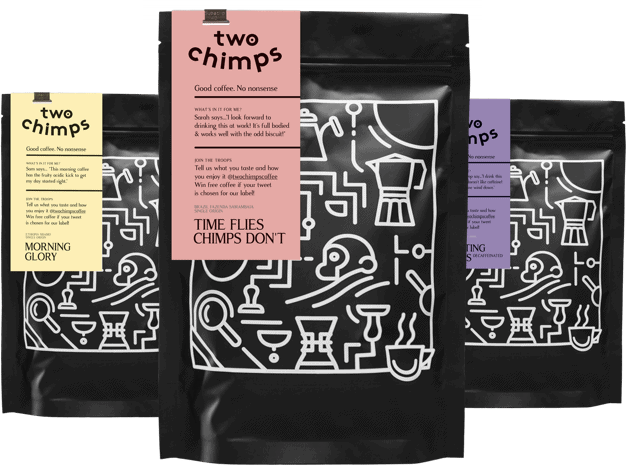 The first delivery of your subscription is sent with a free Two Chimps Tin to store your coffee in. How cool is that!